The conference will bring together investors, innovators in industry and government, policy makers, entrepreneurs, academic leaders and others whose common goal is to empower private and public innovators to spur business, economic and job growth in the U.S. and abroad. 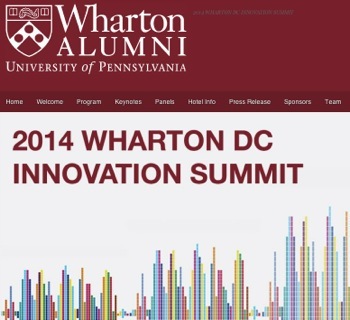 You can learn the latest information about the Summit on our special website: www.WhartonDCInnovation.com . After you register, you'll be given a password for our Mobile App: WhartonDC in the iTunes and Google Play Stores will let you download it. Why is the Summit being held? In brief, the Summit is a high value, high impact way for entrepreneurs, business executives, government officials and others dedicated to become more successful leaders by leveraging the power of innovation. If you are in that group of action and results-oriented leaders, it will help you create, stimulate, test and harness big ideas to achieve better real-world results in your business or organization of any size. The Summit will inspire and enable you deal to more effectively with the realities of today's competitive global economy. Meanwhile, in a convenient downtown DC location. 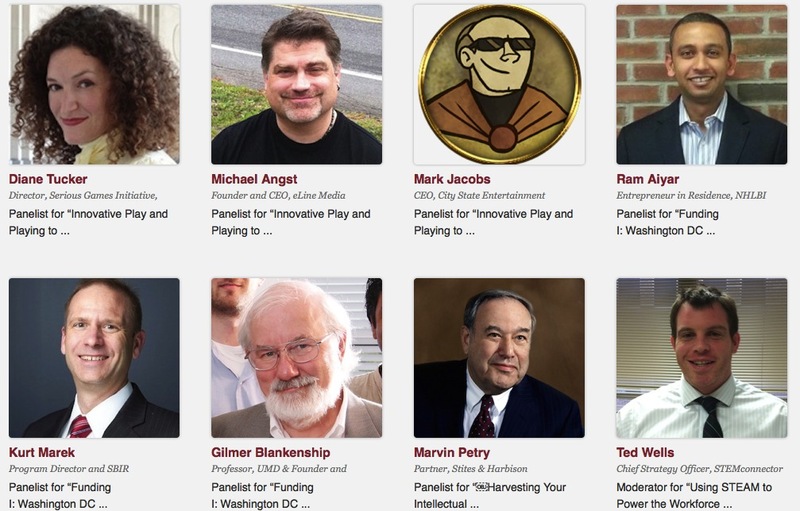 the DC Summit will provide an interactive environment to help you find public and private sector partners with the resources and interest to help you succeed as an innovator. 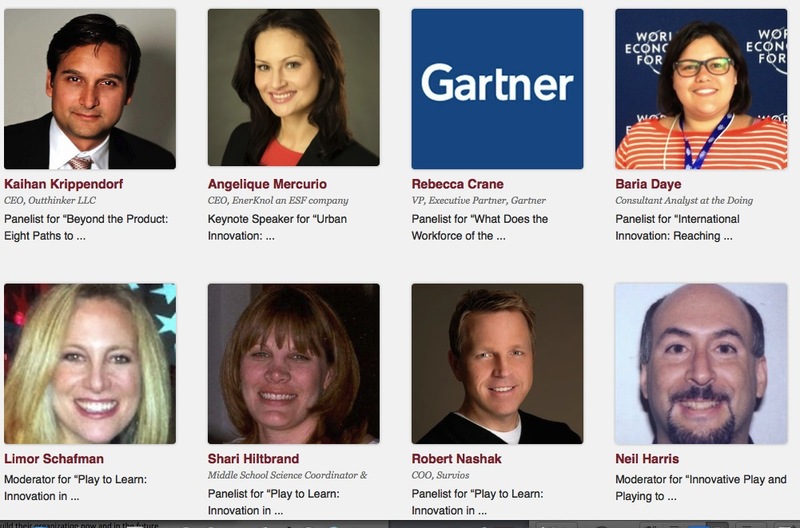 With the Summit's expected 300-400 attendees (already representing over 150 private and public organizations), the 48 keynote and other sessions to which you will have access feature an all-star lineup of more than 135 speakers. Keynotes and panelists include distinguished Wharton professors, and leading innovators in business, science, technology and government. Build your connections to potential funding sources, partners and collaborators who can furnish human and capital resources you need to succeed. The Summit includes two receptions, the use of digital tools, a Master Class workshop, many breaks, and special networking sessions and opportunities. 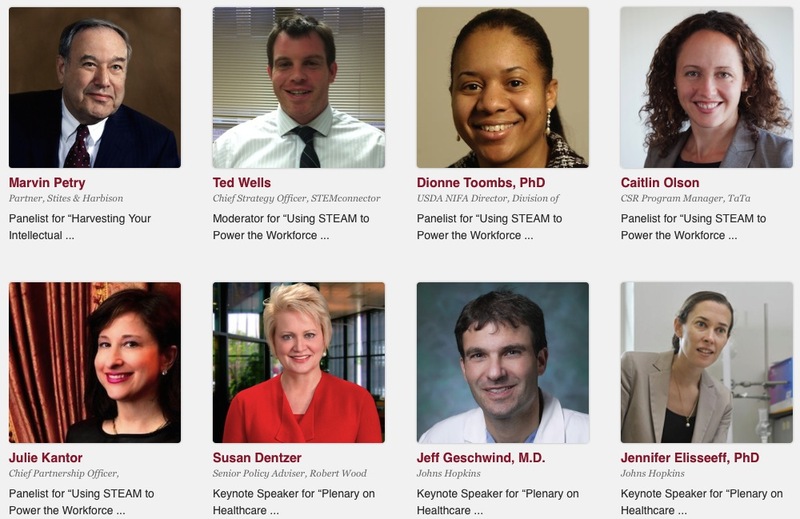 The 2014 Summit, the start of an annual event and with interim programs in our Innovation & Entrepreneurship Forum, brings together speakers and attendees who share the goals of using innovation to strength their own organizations, while spurring business, economic and job growth. Registration fees to attend the Summit are reasonable compared to similar 2-day events are already reasonable: just 395/person. That’s a good deal, because it includes access to all sessions, breaks, meals and receptions. Also, you may bring a 2d person for just 179, including all of the benefits for both of you. That's just 287/person for each of you, including all sessions, meals, breaks, receptions and networking. And take advantage of this Special Offer by signing up now. If you want to learn more, click on any of the articles below. To assure your place and register now, you should click here. We invite you to benefit from this offer by registering now, before it expires or we reach our limited capacity for these add-on places. Please click here. HERE to learn more about the 130+ Keynotes & other Speakers. HERE to learn more about the Schedule. Based on strong interest thus far, we expect to reach capacity early. CLICK HERE for a more detailed Schedule. 6:30 pm to 8:30 pm - Reception at British Embassy, Rotunda, 3100 Massachusetts Avenue, N.W. This will be the third time we have used this conference center, always with excellent results. MEMBERS: DC Wharton Club Members and Current Members of Strategic Partners (Members may purchase place for themselves and for one guest at same per person rate. All rates include: Full 2-day program, all breaks, receptions, networking, meals. Must name group of which you're currently a Member when you register (except Wharton Club of DC - should login first, please). EARLY BIRD: 295/person, thru Monday, April 14. FULL-TIME: Government, Nonprofit Employees Same rates as Members, including Must name organization for which you work full-time, or, if student or Faculty, school where you're full-time student or faculty, when you register. EVERYONE ELSE: Rates are 200-300/person higher at all times.